I caution those that might go looking for this sign themselves that it could be a very sad or even maddening experience. Now billing itself as some sort of casino, the "BAR" portion of the sign has been completely stripped and the star no longer has any color. 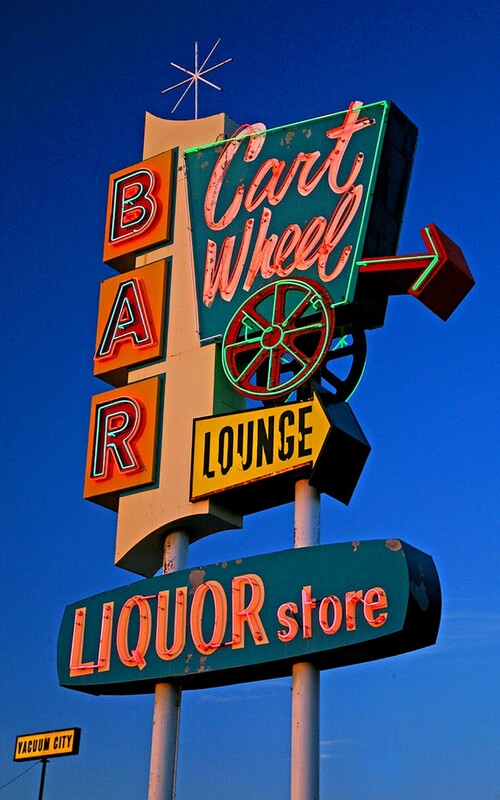 Posted in Date Unknown, Retro/Vintage, signTagged alcohol, Americana, arrow, bar, cocktail, design, googie, liquor, photography, Route 87, star, store, wagon wheelBookmark the permalink.